Our industrial units in Inspire offer fantastic opportunities for any business owner looking for the right place from which to operate their business. Our robust and highly functional industrial units are available in a wide range of sizes and offer a number of amenities for the growing business. At Inspire Business Centre, we give you the best of both worlds. You have the freedom to choose the industrial unit or office space that best suits the needs of your business. In addition, you have access to all the centralised administration and business support that you can call upon whenever the need arises. When you need a functional business space, affordable rent and no long term contracts to tie you down, our commercial units offer the perfect solution. We offer industrial units that range in size from 500 to 3000 square feet and give you the freedom to choose the right space that suits the needs of your business. Inspire Business Centre offers round-the-clock security, 24 hour access and free parking together with a huge number of business boosting facilities. Our rental prices are some of the most affordable in the region and we would be delighted to give you a guided tour. Our convenient location in the heart of Dundonald offers convenience for you and your customers and a prestigious address for your business. 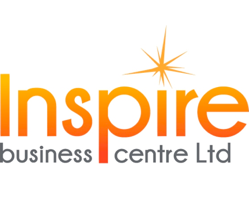 At Inspire Business Centre, we mean it when we say we offer everything a small business needs to shine. From our flexible rental arrangements through to our centralised administration hub, we offer your small business a great start on what is to become an exciting and prosperous journey. What’s more, our services are not just for small business start-ups. Even larger, established businesses will find an ideal workspace here. Many of our business tenants are big businesses that are looking for a more affordable solution or more floor space. If you have outgrown your current workspace or want a more cost-effective solution, our units offer a good choice of options. Call us now on 028 9055 7557 to find out more. Visit us and take a tour of our facilities at your convenience.